Join the lively duo Ethan Banks and Greg Ferro as they take a wild ride through the land of optics. 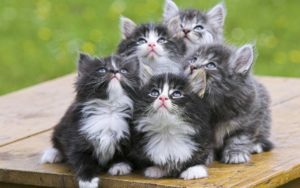 Together with InterOptic CEO Tim Dixon, the group covers everything from the Shannon limit to the safety of kittens everywhere. Who knew optics could be so interesting? Listen to the podcast. *No kittens were harmed in the production of this podcast or any transceivers created by InterOptic.